SkyJuice Foundation works with an alliance of partners in the public, private and community sectors to bring safe water and enhanced empowerment to communities around the world. We partner with all organisations that have a genuine desire to facilitate potable water outcomes. We have long standing relationships with many major international NGO’s and water sanitation agencies. Oxfam is an international confederation of 19 organisations working together with partners and local communities in more than 90 countries. One person in three in the world lives in poverty. Oxfam is determined to change that world by mobilising the power of people against poverty. 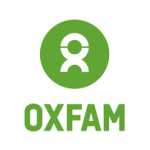 We work actively with OXFAM Australia and have supplied emergency SkyBox units in PNG, FIJI as well supported OXFAM UK in disaster response potable water projects with SkyHydrants in Sri Lanka, Pakistan and Indonesia. The UNESCO Centre is part of the Engineering Department of the University of NSW. It has five academics and over 20 researchers dedicated to membrane science and technology. SkyJuice Foundation has a strong partnership with the centre. Scientists and students within the centre provide all the testing and validation work on SkyHydrants and hybrid solutions. The Centre has a strong profile and recognition factor internationally as one of the largest membrane groups and as a world leader in a wide range of research areas. The centre has undertaken independent validation and testing on SkyJuice systems for numerous applications. Reports are available on our website. Also, we have collaboratively worked in R&D projects to evaluate the reuse and recycle of membrane products for possible low cost water solutions into developing communities. Disaster Aid Australia deliver innovative Australian-based humanitarian aid solutions to people in developing countries who have suffered loss following natural or other disasters. 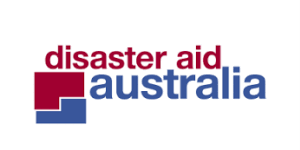 Disaster Aid Australia was created in 2003 as a project of the Rotary Club of Endeavour Hills (D9820 Vic.) it is a member of Disaster Aid International which includes Rotary club partners in Malaysia, Philippines, UK & Ireland, and the USA. A major emphasis of DAA and DAI is promote safe sustainable water outcomes, especially during critical periods that require fast response times. It has a truely global reach through its close working relationship with Rotary clubs. SkyJuice has been a proud supporter and partner for over 7 years, with over 50 emergency water and long term water installations. 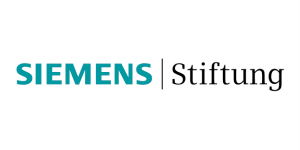 Siemens Stiftung is a nonprofit foundation that promotes sustainable social development, which is crucially dependent on access to basic services, high-quality education and an understanding of culture. Their international project work supports people in taking the initiative to responsibly address current challenges. The geographical focus of their work is on regions in Africa and Latin America as well as Germany and other European countries. They develop and implement solutions and programs. Technological and social innovations play a key role in their work. Their actions are impact-oriented and conducted in a transparent manner. SkyJuice continues a relationship for over 10 years with Siemens Stiftung. We have jointly delivered projects in over 12 countries. The Safe Water Kiosk or Enterprise( SWE) program is a showcase project in East Africa with over 20 operating kiosk installations of various capacities and configurations. Siemens Stiftung is a global leader in promoting sustainable portable water outcomes. Rotary is a global network of 1.2 million neighbours, friends, leaders, and problem-solvers who come together to make positive, lasting change in communities at home and abroad. Solving real problems takes real commitment and vision. For more than 110 years, Rotary members have used their passion, energy, and intelligence to take action on sustainable projects. From literacy and peace to water and health, they are always working to better our world, and they stay committed to the end. SkyJuice has supported and implemented a variety of emergency, disaster and long term bulk water projects with Rotary clubs in all continents. This includes both direct club partnering as well support of WASRAG activities . We can offer packaged SkyHydrant kit solutions to respective clubs and technical advice to assist with project implementation. 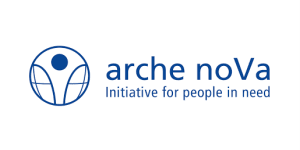 Since 1992 arche noVa has helped the affected people to use their skills and to strengthen their independence. Worldwide, they work closely with local partners, in particular, to ensure sustainable access to safe water as well as prevention programs in hygiene and sanitation to contribute to the health of people in poor countries. 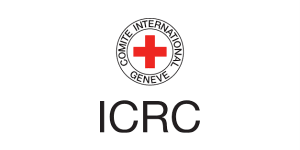 Many of their projects are located at the interface between humanitarian aid and development cooperation. They support the affected population in the (re) building of stable water and sanitation supply. They include the affected people active in the projects through so-called cash-for-work programs and they support the people to create a new life through training programs. SkyJuice has collaboratively supplied many SkyHydrant units over 7 years into regions including, Haiti, Indonesia, Fiji to name a few. 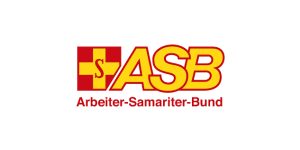 ASB – the Workers’ Samaritan Federation – is a German aid and welfare organisation, engaged in areas such as civil protection, rescue services and social welfare services. It is a non-political and non-denominational organisation. SkyJucie has assisted ASB in Haiti with multiple repeat supplies for over 30 SkyHydrant units for medium term potable water outcomes. 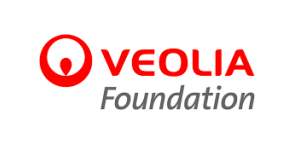 Since 2004, the Veolia Foundation has been supporting community-oriented, non-profit projects across the world. It focuses on three areas of action Development aid and humanitarian emergencies; Social inclusion through work and social links and Environmental conservation and biodiversity. The Foundation supports a limited selection of projects on a medium- or long-term basis. All these projects are led by previously identified partners and sponsored by employees. It does not therefore consider projects submitted directly outside this framework. SkyJuice supports the Foundation for over 10 years with smaller capacity direct filtration membrane solutions that compliment the project responses of the organisation. The Australian Water Association is the national peak water organisation, delivering information, expertise and collaboration for sustainable water management. DFAT has funded AWA and indirectly SkyJuice to deliver demonstration community water projects ( Safe Water Kiosk) in Son La Province Vietnam. This also included a school based SkyTower potable water installation. It is envisaged that the low cost gravity based membrane installations can demonstrate and actively assist rural water upgrades within Vietnam. The program will be continuously monitored by AWA/DFAT. They work to ensure that everybody has the right to seek asylum and find safe refuge, having fled violence, persecution, war or disaster at home. Thank you for choosing to donate to the SkyJuice Foundation .